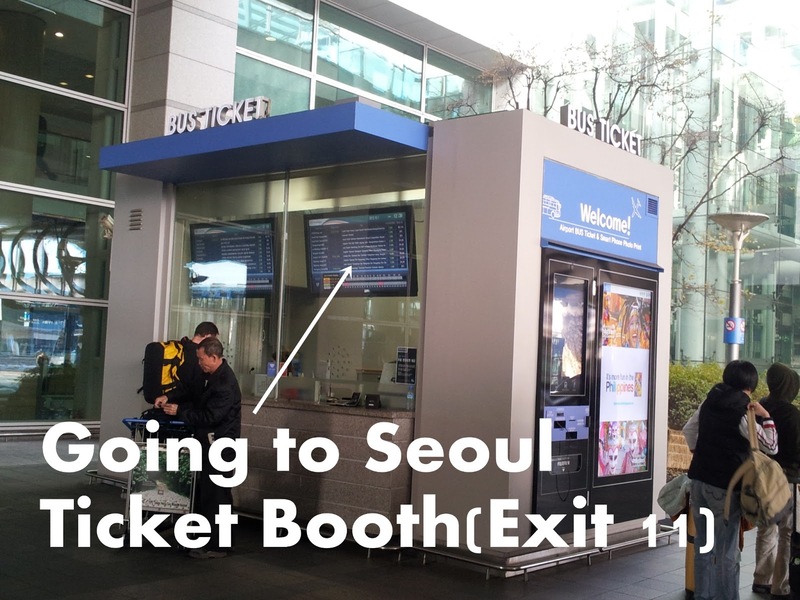 Today I’ll post about useful tips going to Seoul from the Airport in Korea. It could be useful for the budget traveler who don’t want to spend money on picking-up to the hotel or travel attractions. I think Korea public transportation is quite awesome because it’s cheap, easy to use and clean. 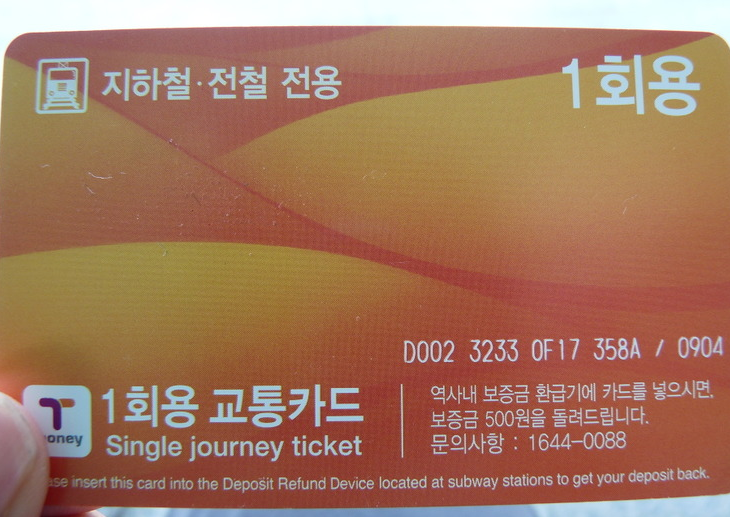 Orange colored card(Below) is subway ticket only can use 1-time. So if you’d like to get on a subway few times or go to short distance, you’d better use 1-time ticket few times. After using 1-time, you can get a refund KRW500(for the deposit) at the every station. so please don’t forget this. 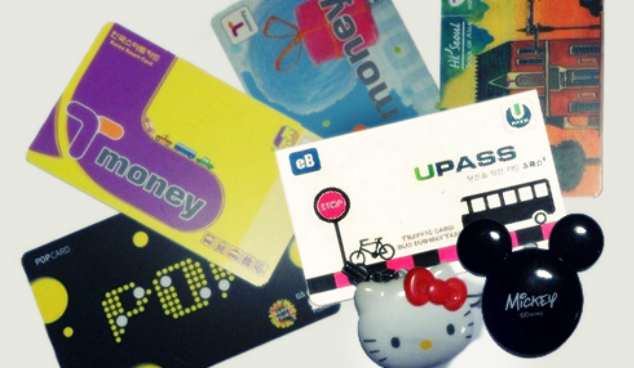 Above picture(few cards with “Hello Kitty”) is transportation card you can buy at any convenience store or subway station(all kinds of traffic cards is ok). It costs KRW2,500 for the issuing the card and you can charge the amount you’d like to use. (Pre-paid card). You just touch your card to the card-reader when you get on and get off the bus or subway both. Like this(Below picture)!! 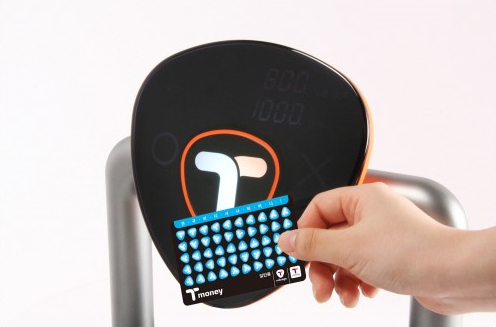 Do you happen to know why you should tag your traffic card when you get off? That’s why Korea transportation system has “Transfer System”. I can say the most charming thing of Korea transportation is this! You might know about this system well because lots of countries use transfer system so I’ll tell you about “Korea Transfer System” briefly. – Available service is metropolitan subway and Seoul, Incheon, Gyeonggi-do bus. – Transfer system is valid within 30mins after tagging your card when you get-off. If you forget to touch the card when you get off, you might cost extra fee up to KRW900 when you get on next bus. So don’t forget tag your card when you get off! With your traffic cards, You’ll take advantage of great transfer system in Korea. Now, let’s see how to get to Seoul downtown from the Incheon(Seoul) Airport. There is direct line from the Incheon International airport to Seoul station. It takes only 43mins to get to Seoul Station and fare is discounted further from KRW14,300 to KRW8,000 for all day in 2013. 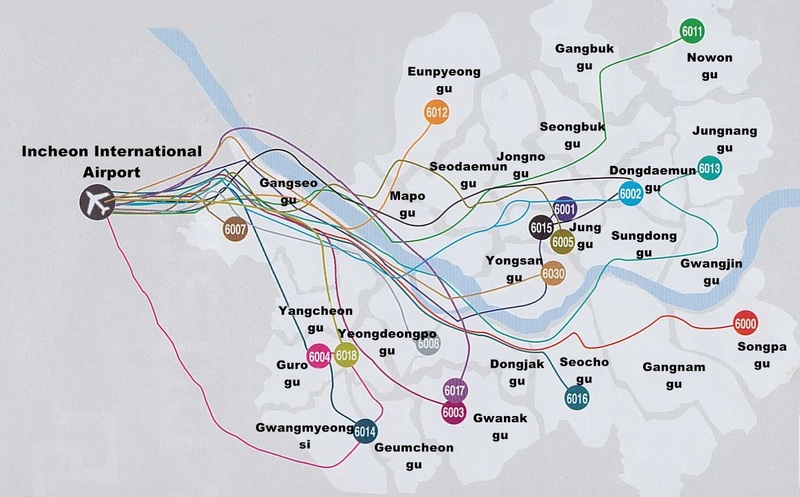 Every station from Gyeyang is connecting with other subway line so it’s easy to find tourist attractions or get to your destination. 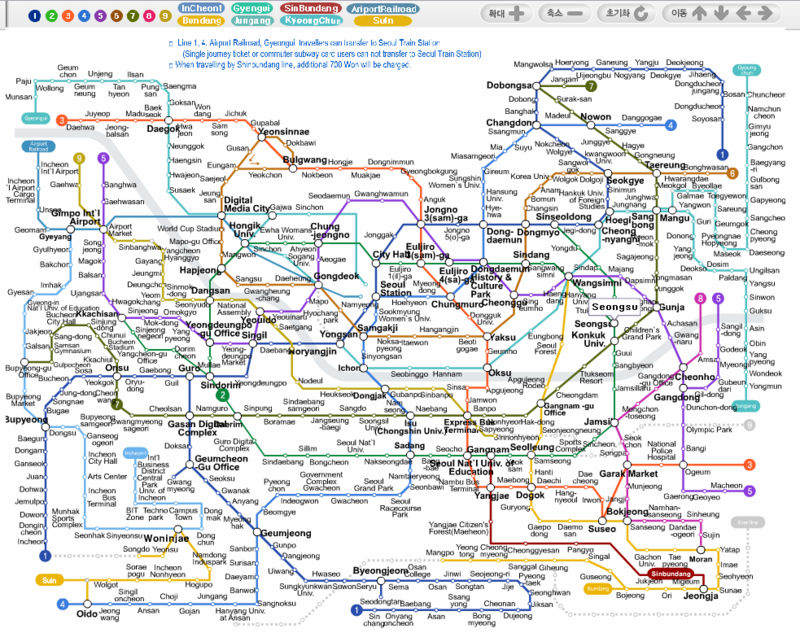 See the below subway map of Seoul Metro. here’s the time table and fare departing from Incheon Airport station. *If you purchase a single journey ticket, you should pay KRW100 in addition. *Express Train Fare(Incheon Int’l Airport → Seoul Station) : KRW8,000. There are many buses and airport limousines on the 1st floor of airport going to Seoul, Incheon or regional city from Incheon Int’l Airport. So you can go anywhere in Seoul or other cities just getting on the bus. There are 7 ticket offices outside the airport on 4A, 4B, 6A, 71, 8B, 11A, 13A. And they look like below. 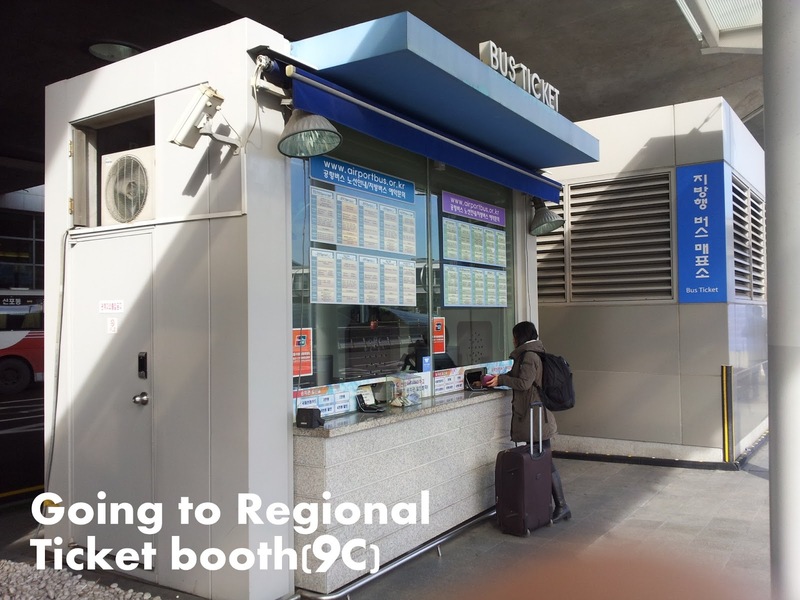 Also there is one ticket office going to local provinces on 9C. See below.